For most folks, grabbing a parachute and leaping out of an airplane is thrilling enough. But for Swoop Challenge, that’s just the beginning. The Swoop Freestyle FAI World Championships is a freestyle competition that draws inspiration from stunt-heavy snowboard descents and pro skateboarders, injecting that showmanship into the arena of parachuting. The result is flashy aerial acrobatics and relentless showmanship, as the competitors seek to outdo each other. 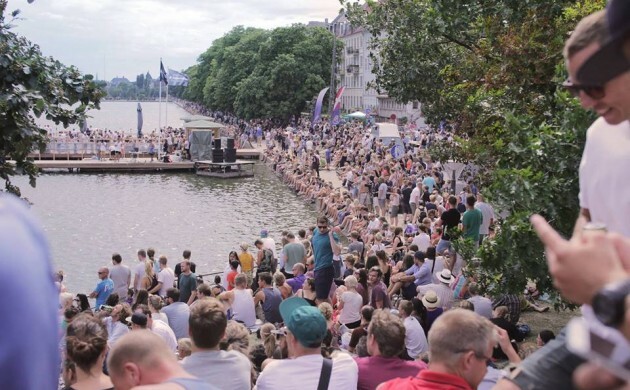 So come to Peblinge Sø, which is situated in between the start of Nørrebrogade and Tagensvej, and watch 18 daredevils from 10 countries hurtling out of aircraft and performing grand stunts during their descent over Copenhagen’s famous Lakes.